Click here to submit your information for inclusion on this page. Types of horses: Training all gaited breeds. We specialize in Heritage Walking Horses. Our horses are barefoot, sound and sane. Breeding foundation type naturally gaited horses. Loving and breeding the best since 1973. If color is your fancy - We've got your DREAM HORSE!!! is located in the southwestern region of Idaho. 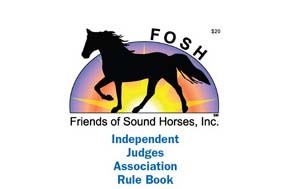 We love sound, naturally gaited horses of ALL breeds, and welcome members that want to learn more about them. We promote activities highlighting the smooth ride and versatility of our gaited horses including trail riding, competitions, shows, exhibitions, drill team performances and clinics benefitting gaited horses. Please visit gaitedhorseclub.com for information. 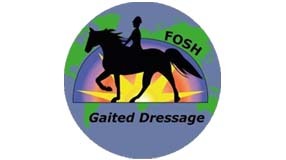 Training of all fine gaited flat shod horses to include TWH, SSH, KMH, RMH, RH< & MFT using basic saddleseat and dressage for trail, plantation pleasure and field trial. "You can do endurance on your gaited horses and you can do it well!" The Chesapeake Club is celebrating 25 years of promoting the versatile naturally gaited horse. As a member of the Maryland Horse Council, we have been the voice of the gaited community and a resource for other disciplines to learn about the gaited breeds in our region through demonstrations, clinics and guest speakers. Members enjoy monthly trail rides, newsletter, parades, clinics, social gatherings and friendly help. We welcome all breeds, riding styles and experience levels from beginner to professional. All gaited horse welcome. Improving the natural movement of gaited horses through dressage and versatility training. Ride, train, and show barefoot performance horses. Types of horses: Tennessee Walkers, Spotted Saddle Horses, Missouri Foxtrotters, gaited mules, Walkaloosa, Ozark Mountain Horses and Mountain Horses. Members of the Morgan Single-Footing Horse Association. Standing at Stud: Miss America's Master Piece "Greyboy"
W.G.C. MO. Foxtrotter in "Versatility Events"
Types of horses: Tennessee Walking Horses. Our horses are using horses, excelling in many different disciplines. Our horses are intelligent, gentle and willing. They do what the Tennessee Walking Horse was meant to do and they do it barefoot! Types of horses: keg shod Walking Horses-For trail, show, or just pure pleasure! Our horses are barefoot and grow up playing in large, hilly pastures. ACTHA (American Competitive Trail Horse Association http://www.actha.us/). Types of Horses: Tennessee Walking Horses, and miniature horses, all trained with Parelli Natural Horsemanship methods. BREEDING FOR THE FUTURE FROM THE BEST OF THE PAST! Helping prepare and progress horse and “rider” for a successful relationship no matter what the chosen discipline. Types of Horses: We specialize in Heritage Walking Horses. Our horses are barefoot, sound, and sane. We have several stallions, including NFF Wilson's Society King, the 2007 Minnesota Walking Horse Association 3 Year Old Futurity winner. None of our horses have Pride of Midnight, making them great crosses with the POM horses.